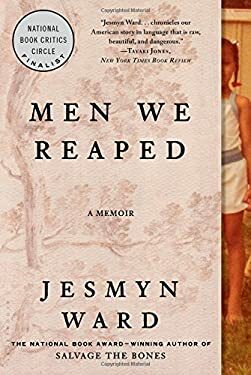 Universally praised, Jesmyn Ward's "Men We Reaped" confirmed her ascendancy as a writer of both fiction and nonfiction, her Southern requiem securing its place on bestseller and best books of the year lists, with honors and awards pouring in from around the country. Jesmyn's memoir shines a light on the community she comes from, in the small town of DeLisle, Mississippi, a place of quiet beauty and fierce attachment. Here, in the space of four years, she lost five young men dear to her, including her beloved brother-lost to drugs, accidents, murder, and suicide. Their deaths were seemingly unconnected, yet their lives had been connected, by identity and place, and as Jesmyn dealt with these losses, she came to a staggering truth: These young men died because of who they were and the place they were from, because certain disadvantages breed a certain kind of bad luck. Because they lived with a history of racism and economic struggle. The agonizing reality commanded Jesmyn to write, at last, their true stories and her own. "Men We Reaped "opens up a parallel universe, yet it points to problems whose roots are woven into the soil under all our feet. This indispensable American memoir is destined to become a classic. New (271 available) BRAND NEW. Over 1.5 million happy customers. 100% money-back guarantee. Make your purchase count: support Better World Books' worldwide literacy partners.